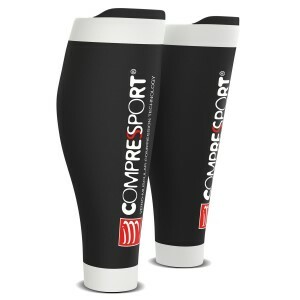 Lift your performance at your sport with the Compressport R2 V2 Compression calf sleeves, featuring the K-protect ergonomic tab to give you a serious edge. According to Compressport, by wearing these innovative calf sleeves vibrations to your knees are minimised by 8%. 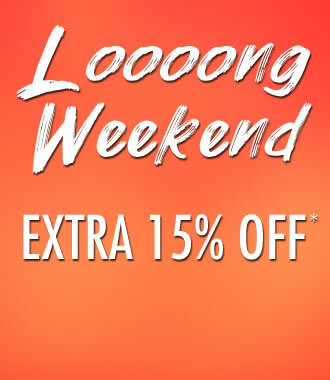 Enjoy the benefits by wearing during and post-workout - a must-have for ultra-long distance events to maximise performance. 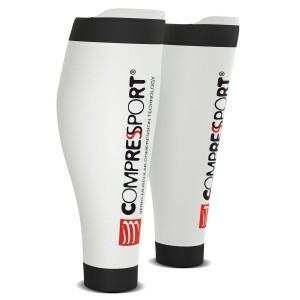 R2V2 calf sleeves speed up recovery time by reducing aching, soreness and pain to your exercising muscles. They also suspend fatigue for longer, so you can focus on pushing your body harder. Anti-fatigue: Improved resistance to rigorous workouts of the muscles, veins and joints by smoothly absorbing vibration and shock. D-Tox: Dramatic lactic acid reduction during intense effort. Massaging-fibre: Patented fibre stimulates micro-massage throughout your activity to create a feeling of lightness with positive effects on your body. Recovery: Immediate sensation of strength and well being of the whole leg from ankle to groin, without the weight of fatigue holding back your energised mood and motivation. Venus return is accelerated for a feather-light feel of the legs by limiting the stagnation of blood in quadriceps, hamstrings and calves. 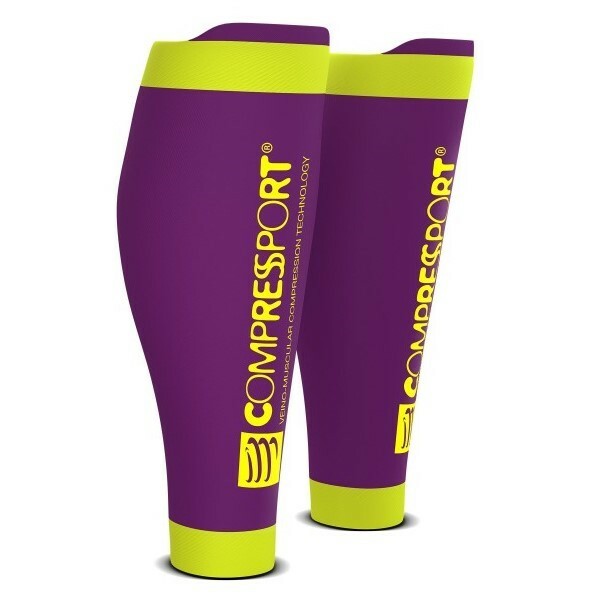 Shock-absorber: Muscles, veins and joints are protected from “shock wave” impacts with 360 degree compression for effective dampening. Ultra-resist: Compressport apparel has high durability and is tear-proof with standard use. K-Protect: Experience vibration dampening of up to 8% with this innovative ergonomic tab. K-Protect is the secret weapon for your knees to maximise performance on fast-paced technical trails and sharp descents. The patellar tendon is supported to meet the demands of athletes.